The 2013 NBA Playoff's are in full affect. 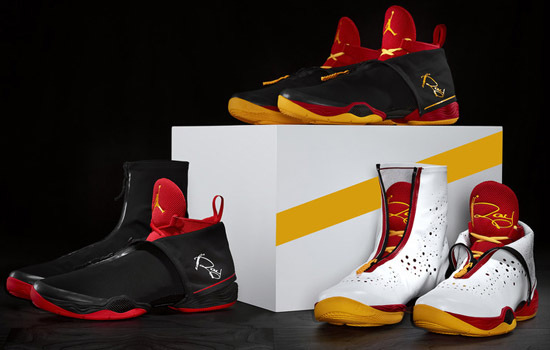 While teams and players battle for a championship, Jordan Brand unveils some player exclusive colorways of the Air Jordan XX8 that select players of Team Jordan will be wearing. Each pair comes in colorways inspired by that players specific colors and along with personalization for that player. 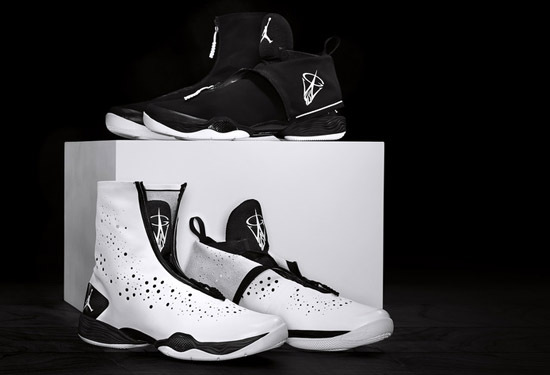 Richard Hamilton, Russell Westbrook, Gerald Wallace & Joe Johnson will all receive two colorways of the Air Jordan XX8, one in a "Home" colorway and the other in an "Away" colorway. "Sugar" Ray Allen will have three colorways with the third being an "Alternate" edition. Hamilton's pairs come in Chicago Bulls colors of black, gym red and white featuring his "Rip City" logo on the tongue as well as the shroud when folded. 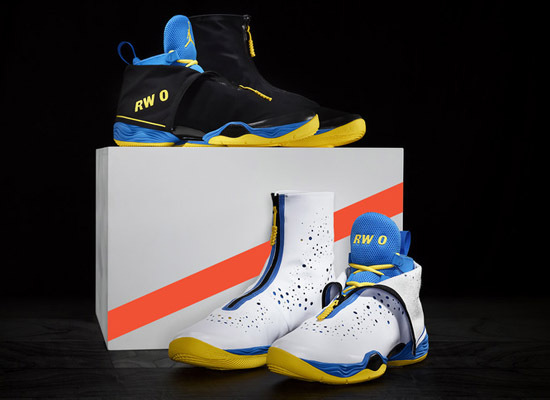 Westbrook's pairs come in Oklahoma City Thunder colors of white, photo blue, tour yellow and black featuring "RW 0" on the tongue and shroud. Gerald Wallace and Joe Johnson, both of the Brooklyn Nets have identical pairs comes in white and black. Johnson's pairs feature his "JJ 2" logo on them while Wallace's pairs feature his logo on them. Lastly, as Ray Allen tries to help his new Miami Heat team to winning their second consecutive NBA title, his pairs comes in black, gym red, del sol and white. Allen's pairs feauture his "Ray" logo on them. 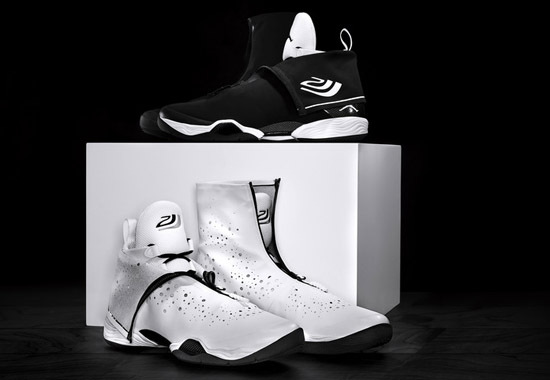 As all these Air Jordan XX8s are PE's, they will not be sold in stores or available to the public. 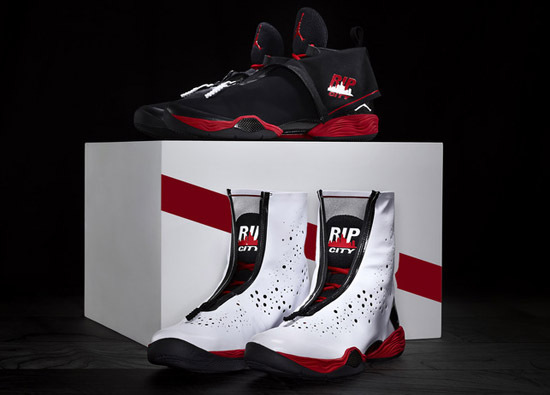 Enjoy the official images of the Ray Allen, Richard Hamilton, Russell Westbrook, Gerald Wallace & Joe Johnson Air Jordan XX8 2013 NBA Playoffs player exclusive's below. If you're interested in picking up a pair of the Air Jordan XX8, you can click here to buy them on eBay.